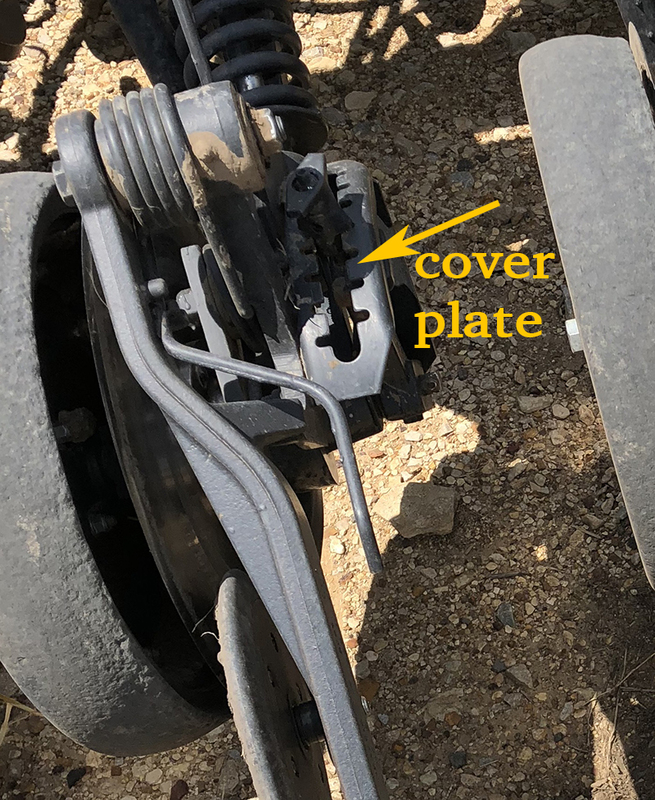 If you notice a lot of wear on the depth-adjustment mechanism (the plate with the notches in it, as well as the knob), it’s probably a sign you’re not running enough downforce on the openers. If you don’t have enough downforce (whether that’s OEM or with UniForce), that knob is constantly chattering in those notches, wearing them out. Not to mention your furrow depth will be quite erratic! These generally should go many tens of thousands of acres without any appreciable wear. (If you are needing to replace these, note that recently JD has gone to thicker steel for them.) Note that on the OEM downforce, it’s very common to need to go into the red area of the gauge to have sufficient pressure in long-term no-till soils (use whatever it takes to have reasonably uniform depth of cut along the length of the furrow). For more tips on fine-tuning the adjustments for these drills, see our DVDs, No-Till Seeding Explained, No-Till Seeding School, and our web page for them.